The Fix IV Therapy opens TODAY in West Hartford Center. This innovative business on Farmington Avenue across from Luna Pizza is offering hydration drips and vitamin boosts. Their menu includes ‘fixes’ such as the ‘Party Fix’ (pre or post party hydration - we did this - LOVED it), the ‘Slim Fix’ (burn baby burn), and ‘Myers Fix’ (does it all). There are also ‘boosters’ such as the ‘Sunshine Boost’ (Vitamin D for your mood), the ‘Anti-aging Boost’ (to maintain your youth), and the ‘Glow Boost’ (speaks for itself). Owner and single mom, Erin Fox, says their medical director is an anesthesiologist, registered nurses administer the shots, and all staff are OSHA and HIPPA certified. The first 5 people to SHARE this SCOOP on social media will get a coupon for $25 off your first service good through November 15th. Lori Lucey is on a mission to spread kindness through Glastonbury. Her purpose resides deep within her. She lost her 18-year old sister when she was younger and most recently her mother who had terminal cancer. The loss led her to search for signs of comfort. When she found the Kindness Rocks Project, it resonated. With help from the art teacher at Hopewell School, Dawn Mistretta, Lori then took it to another level by creating the Kindness Rocks Garden. 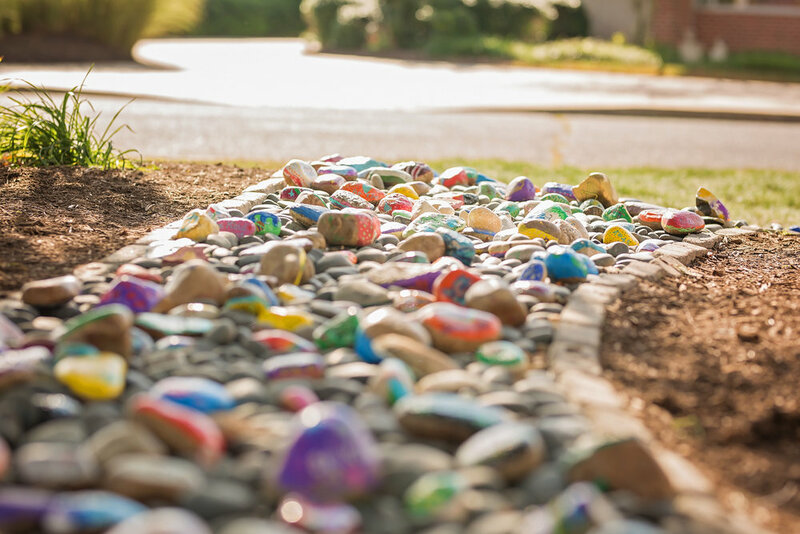 The gorgeous outdoor scape includes 3,000 rocks with inspiring messages like ‘There’s always hope’, ‘Tomorrow is a new day’, ‘Oh my darling, what if you fly?’, and a whale that says ‘Do kindness in a big way’. The project has attracted attention from the Hartford Courant, Better Connecticut, and the Kindness Rocks Project Founder Megan Murphy, who has her own inspiring story. Watch here. Lori and Dawn will also be honored by the Board of Education for their inspiring work. Orangetheory Glastonbury is joining the fight against breast cancer this month. They are hosting ‘Battle of the Badges’ this Friday, October 19th at 7:00 PM. FIRE, POLICE, and EMS personnel will compete for the most ‘splat’ points (a term Orangetheory clients know well). It’s FREE TO ENTER and donations will be $1 per splat point. Money raised will go to The Linda Clemens Breast Cancer Foundation. The non-profit supports many programs that help women with breast cancer. Read about all of the contributions they’ve made to the cause here. 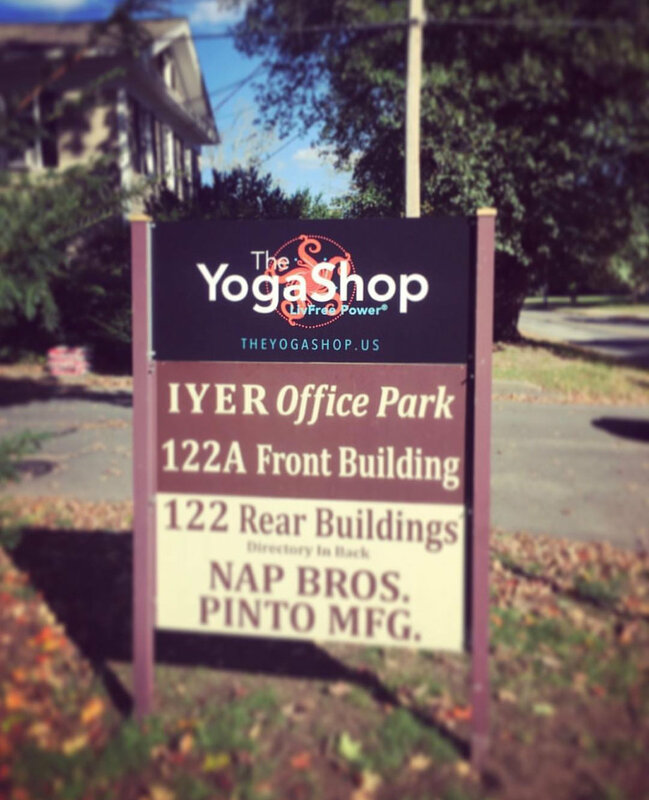 *The Yoga Shop has announced their location in Glastonbury. They will be in the old factory on Naubuc Avenue known as Iyer Office Park. 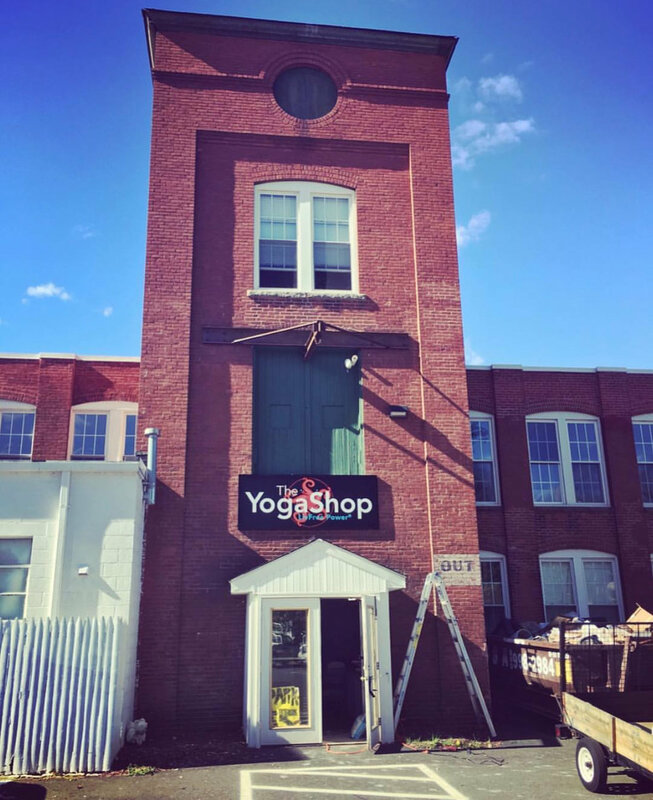 This will be the yoga studio’s 6th location. *The Scoop Glastonbury and Tishler Coaching Services teamed up last week to host a Women’s Network Night at Welles-Turner Library. We were overwhelmed by the turnout and impressed with our panel of entrepreneurs who shared their advice about starting their own business. Thank you to Kristina Coughlin of the Instagram account Cooking with Kristina, Meghan Hayden, owner of the new River Bend Book Shop coming to Main Street, Robin Walden, owner of RW Connect, a marketing and communications firm, and Kim Reid, owner of The Silver Dahlia, Pinwheels, and Glazed. Stay tuned for more events to come! *The Coder School recently opened in Farmington. It’s a franchise from Silicon Valley that teaches kids 7 to 18 years old how to code. Their offerings include classes on 3D gaming, web development, and algorithms. They will also have Coder Camps during holiday and summer breaks. Check them out here.